Opportunities for organizations to differentiate themselves come through engaging customer experiences (CX). 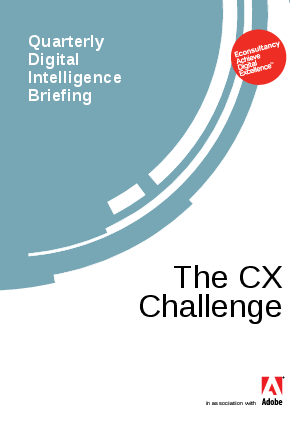 To help marketers see what their peers are doing, Adobe joined forces with Econsultancy to survey more than 2200 marketers worldwide and are sharing the results in The Quarterly Digital Intelligence Briefing: The CX Challenge. Read the report to see how your customer experiences compare with CX leaders around the world.